A year ago at this time, Derwin James was a lock to be taken in the top 10. After 16 names had been called in the first round of the 2018 NFL Draft, James’ name was still on the board staring the Chargers in the face. This is what that same scenario would look like for every franchise in the upcoming draft. This isn’t who we think they’ll pick, but the ideal pick should a player start free falling on draft day. The No. 1 player on PFF’s draft board. This isn’t giving up on Josh Rosen (who checked in at No. 6 for us last year); it’s admitting that Murray could be an upgrade at the game’s most important position. The No. 2 player on PFF’s draft board. He’s as clean as it gets on the field. This is a dream scenario and the Jets can certainly dream about someone trading up with the 49ers to draft a quarterback. The Cardinals could ‘reportedly’ still go a number of different ways. Allen’s versatility was tailor-made to play in Todd Bowles’ defense. Murray is unrealistic at this point, and we aren’t high enough on any other QB to call them the dream. The Giants edge group has been torched after losing Jason Pierre-Paul and Olivier Vernon in back-to-back seasons. Back-to-back Round 1 defensive lineman would be a hard sell considering what their offense has looked like in recent years, but Williams’ versatility and dominance would fit nicely in that rotation. This is where any Allen slide would stop. Trey Flowers only solved one side of the Lions’ edge problem. Allen would solve the other. There may be no better pairing of skillsets in the draft than Josh Allen’s howitzer combined with D.K. Metcalf’s speed and catch radius. 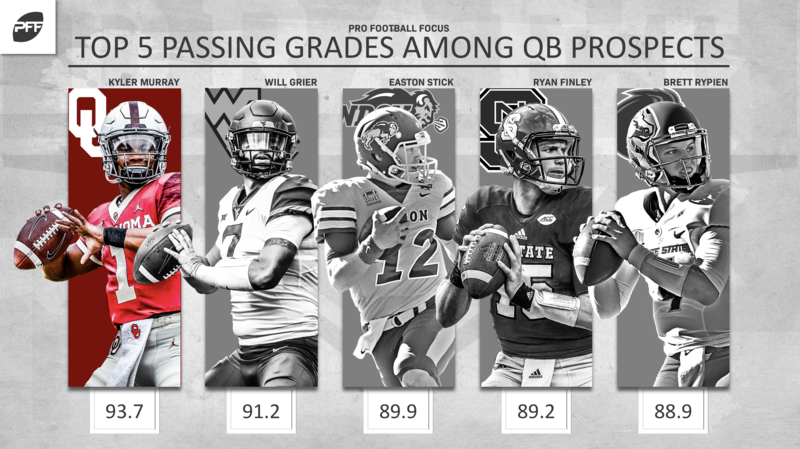 The Bills made a concerted effort to surround their young QB with more talent, but they still don’t have what Metcalf brings to the table. Vic Fangio gets his Roquan Smith/Patrick Willis. Fangio’s defense stresses athletic linebackers and White fits that bill. Cincinnati has the worst linebacking corps in the league last season. Either Devin (White or Bush) would be a massive upgrade. The end position opposite Mike Daniels is still a need in Green Bay. The veteran 3-technique would be the perfect man from Oliver to learn from similar size profiles. Any quarterback here is going to get murdered with the current construction of that offensive line. Go the tried-and-true rebuilding method and put the offensive line infrastructure in place before grabbing the franchise quarterback. 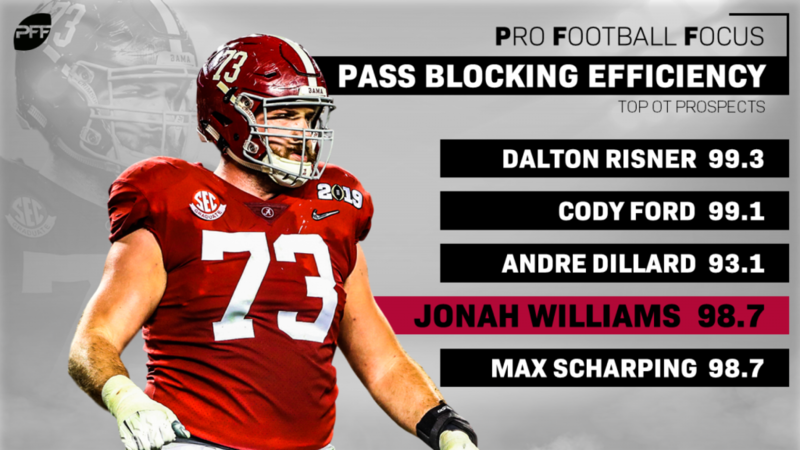 Whether it’s at guard or right tackle, the Falcons need NFL-ready talent along the offensive line after Ryan Schraeder’s head-scratching demise. The reported Haskins slide may make this a reality. Case Keenum isn’t taking this roster to the promised land anytime soon and Alex Smith may never even play again at this point. He may not fit the normal profile for the Panthers defensive ends but he fits the production. There’s a reason Bruce Irvin has bounced around of late and he’s not stopping them from adding more talent here. This is the pick where QB makes sense for the Giants. This is a barren roster that still needs quality players as much as it needs the QB of the future at this point. This card would be sprinted in to Roger Goodell, I’d imagine. 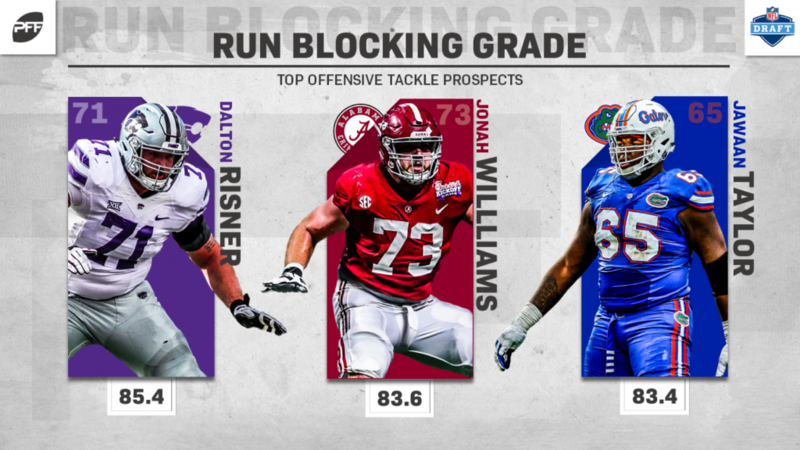 Williams is our top OL prospect and could play either guard or tackle for the Vikings. Any Metcalf slide should end at 19. The Titans receiving corps is plagued with a lack of downfield speed. With cornerback and linebacker both considered needs, positional scarcity should dictate this one. The linebacker the Steelers could get in round two won’t be near Bush’s caliber while the difference at corner would be negligible. The Seahawks’ defense has sorely missed Cliff Avril’s speed off the edge and Burns immediately brings that back into the fold. As I said, this is each team’s dream scenario and Williams continues to fall down mock draft boards. Taking receiver here would provide little value in a run-heavy attack, so beef up that line for Lamar. Dillard has more live pass pro reps than anyone in this class. His 774 pass-blocking snaps were more than any tackle in the NFL last season even including pre and postseason. NFL-readiness is a must for the Texans. 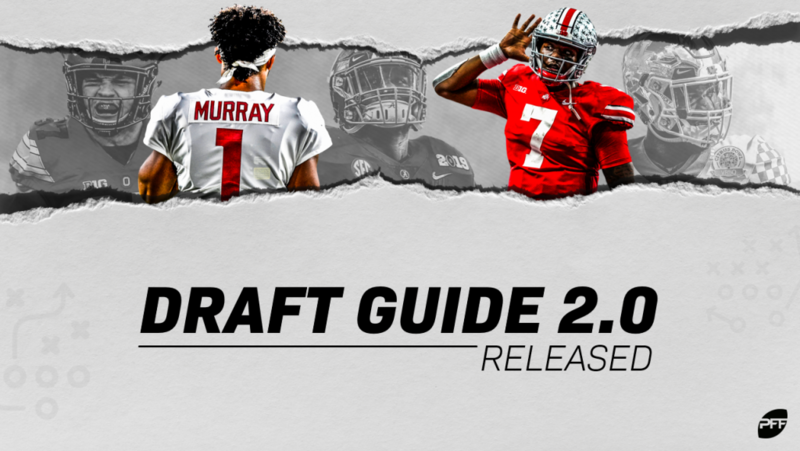 Defensive coordinator Paul Guenther is known for playing a lot of off-zone coverage and there is no better corner in this draft in those than Murphy. This is as low as I can see Bush going. His explosiveness as a blitzer could strike even more fear in opposing quarterbacks. Chris Ballard has coveted long, versatile defensive linemen (Denico Autry, Margus Hunt) and Tillery is precisely that. He brings far more pass-rush than what’s currently on the roster. Brown’s speed would make the Raiders receiving corps a matchup nightmare. He also goes to a place where he likely could fill the slot and not see a ton of press early on. 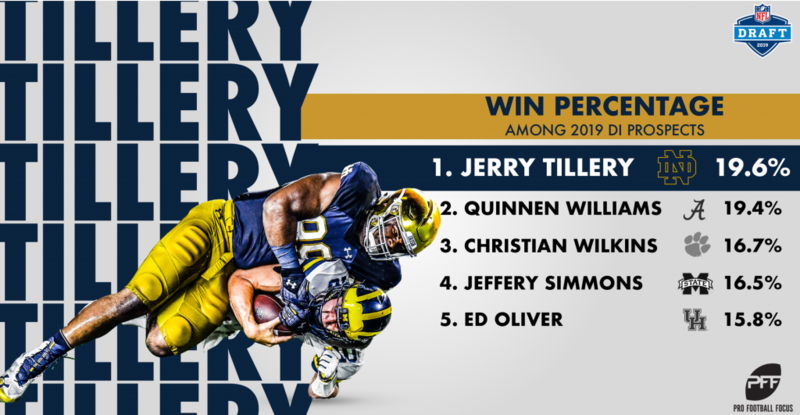 Tillery had the highest stunt grade of any interior player in college football and would be a weapon paired with the Chargers edges. Best corner available is likely the pick, and Baker is the least scheme dependent of the top group of corners. Brown fits the Packers receiver mold of shifty route-runners with YAC ability. He can fill Randall Cobb’s slot position ASAP. No one ran more outside zone runs in college football last year than NC State. No one ran more outside zone run in the NFL last year than the Rams. A pocket pushing nose is coveted in Bill Belichick’s defense and they haven’t had a quality one since Vince Wilfork. He was rumored to be the pick at 17 and after an ACL tear, there’s little doubt he would be the pick if he fell all the way to 49. One of our favorite free safeties in the class, Savage can cover more ground in the middle of the field than any safety on the Cowboys roster. Would pair exceptionally well with their athletic linebackers. Any sort of talent influx into the Saints secondary would be a welcome addition. Love is a physical presence who could fill the slot from day one. Yes, they signed Buster Skrine, but that’s not going to stop me from adding to the position. With few other needs on the roster, Long adds press-man skills with potential to develop into the long-term solution across from Kyle Fuller.